Today, we are living in a world, where energy consumption and environmental problems have increased to the ultimate level. In today’s developing world construction of high-rise buildings, skyscrapers have increased too fast and there is a shortage of land reducing the distance between them. Therefore, the closer buildings are constructed, less natural light reaches there. That’s why these buildings require artificial lighting in it and which consume a huge amount of energy for lighting. Therefore, researchers are looking for energy efficient materials that can be used in construction. The transparent concrete or light transmitting concrete can resolve such kind of problems at some level because transparent concrete mainly focuses on transparency and its objective of application relates to green technology and artistic finish. The most popular construction material used today is concrete, as without concrete it’s difficult to perform any construction activity. As concrete is a solid material, it restricts natural light to enter into the building. Therefore, we have to provide artificial lighting in a building by using lots of illuminating devices which ultimately increases the consumption of electricity. Transparent concrete is a new concept in concrete manufacturing that reduces the requirement of artificial lighting and also provides an aesthetic appearance to a building or a house. Transparent concrete is also recognized as translucent concrete or light transmitting concrete or fibre optic concrete because of its light transmitting properties. 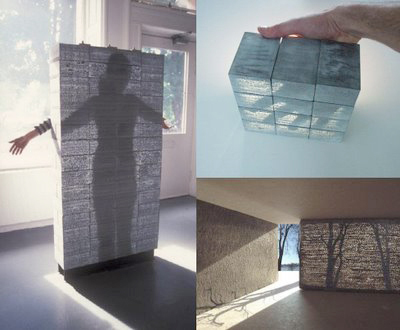 Hungarian architect Aronlosonzi first produced transparent concrete by using optical glass fibres in 2001. He had manufactured it by using 4 to 5 % optical glass fibre by the total volume of concrete. 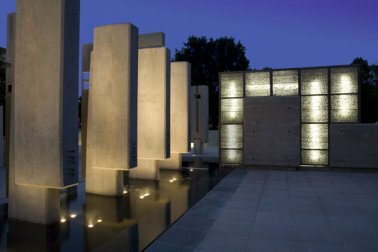 Translucent concrete has less weight as compared to normal concrete. 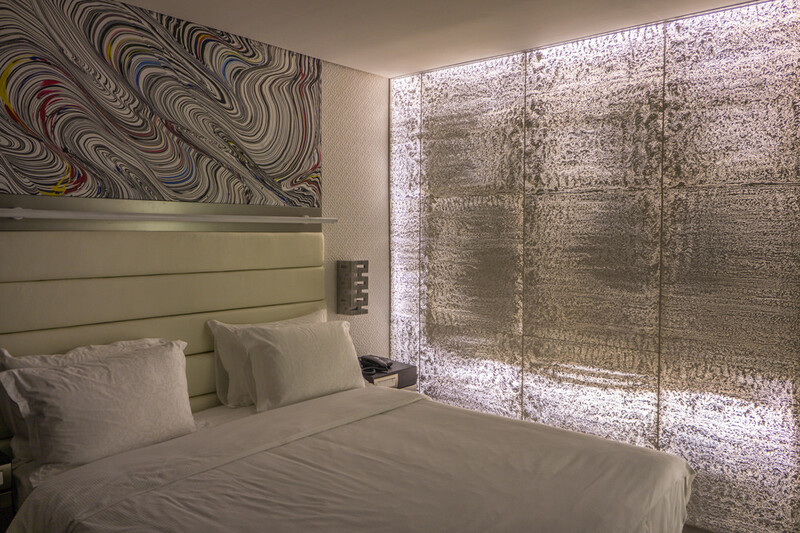 The applications of transparent concrete provide an intellectual light fixture to your house construction. It can transmit light and because of this light transmitting properties whether it is natural or artificial, it can be used as an energy saving component for the building. It can be used where there is a shortage of electricity, as it can cater to natural light inside the building. Application of transparent concrete improves the architectural and aesthetic view of a building or a house. It can be used as an important Green Buildings component. It can be used for partition walls, interior walls cladding and other house decoration work. Application of transparent concrete increases the visibility in dark subway station and light sidewalks at night. Cement is a significant constituent of concrete, but as an optical fibre is responsible for transmitting light in concrete, there is no need to use special cement. We can use ordinary cement as used for normal concrete. Since transparent concrete is made of fine materials, sand used should be comparatively finer than the normal concrete. 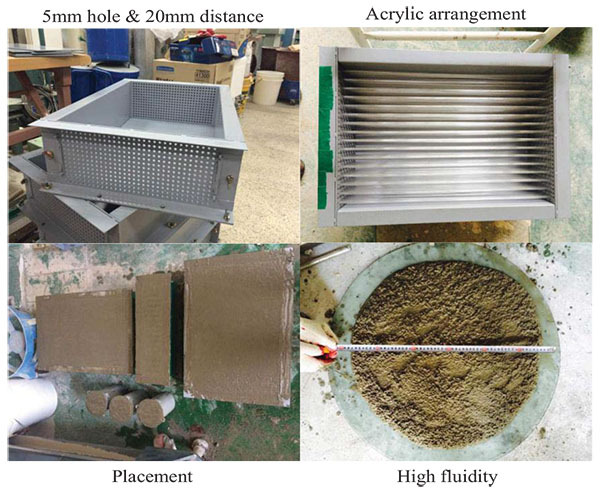 Sand passing through 1.18mm IS Sieve is suitable for making light transmitting concrete. This is the most important material in transparent concrete. Optical fibres are flexible material made of silica or plastic having a thickness slightly more than a human hair. It is also known as fibre optic. The total internal reflection is the working principle of the fibre optic. 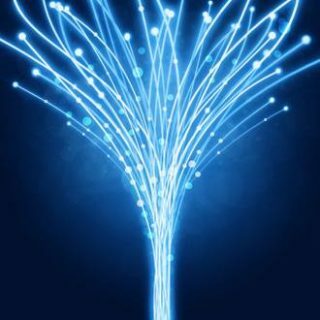 It is optical fibre who are responsible for making concrete transparent and allow the light to pass from one side to another side of the concrete. Normally fibres of size 2μm to 2mm are used for making transparent concrete. 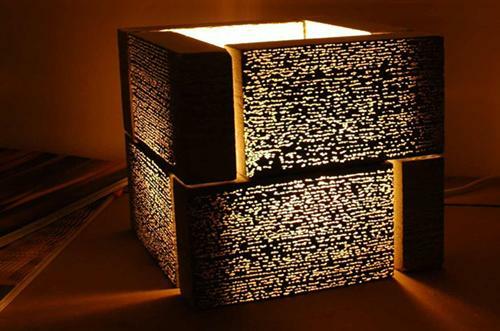 In transparent concrete, fibre optics play a major role, hence it is also called fibre optic concrete. Transparent concrete or translucent concrete uses the property of optical fibre that can transfer light through it by internal reflection from its one end to another end. The manufacturing of transparent concrete is also same as normal concrete. It is manufactured by the use of an optical fibre in the fine concrete. It should be placed in such a way that both the end of fibre opens out from concrete because optical fibre can transfer light only when both ends are open. If one end of a fibre is closed or covered by cement slurry, light is unable to transmit from one side to another side of the concrete. Therefore, we have to prepare the special mould for casting and placing optical fibre in concrete. It’s included step by step during casting by placing thousands of fibre optic pieces in the straight line. Optical fibre must be well spread out in most of the concrete surface area. The compressive strength of transparent concrete is almost the same as normal concrete and it also offers lightweight to structure. Transparent concrete is totally a precast concrete. This concrete is available in the market in form of sheets and panels. Normally in countries like India, the costing of transparent concrete ranges from Rs. 7000 to 14000 (100 dollars to 200 dollars) per square feet. In this era, green structures focus greatly on saving energy with indoor thermal systems. Therefore, it is essential to develop a new functional material. Transparent concrete or light transmitting concrete or fibre optic concrete leads to the new technique different from normal concrete. Because it has important features like environmental protection, energy saving and artistic modelling along with basic structural requirements. Previous PostPrevious Adjust your Kitchen Cabinet Heights as per your convenient!